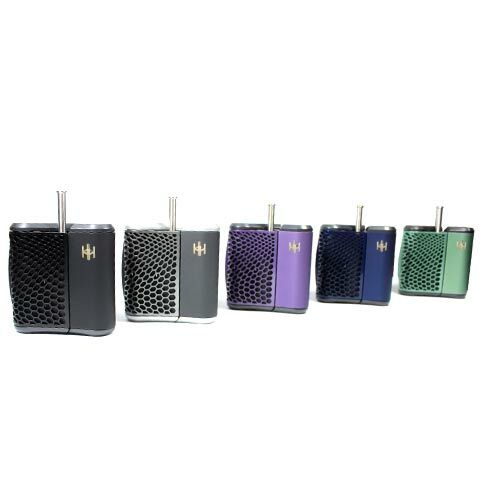 The newly redesigned Haze V3 is here and better than ever! 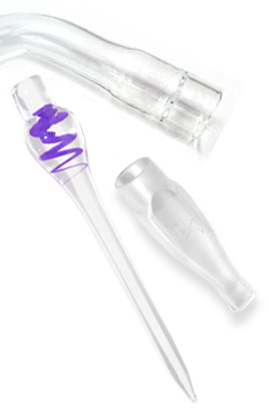 New features include specialized canisters for dry material and wax, a redesigned mouthpiece for easier access, improved durability and more precise temperature regulation. 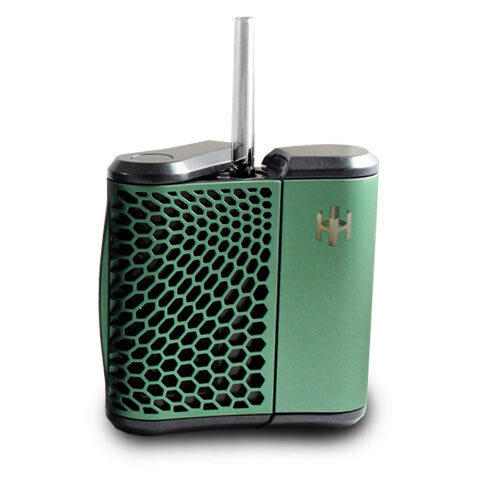 The Haze offers four different temperature settings to vaporize on. Each of these levels is indicated on the front of the device with LED lights. 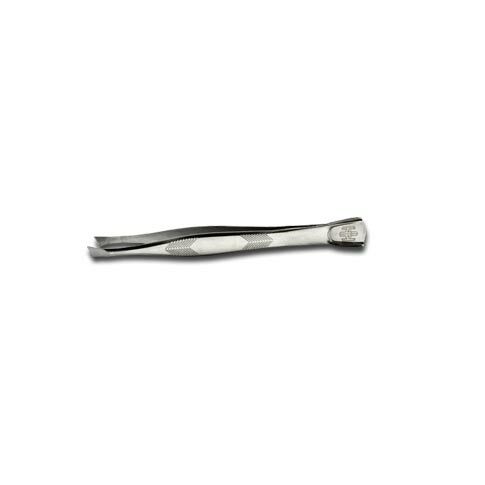 The Haze is capable of reaching each temperature setting within 90 seconds and the dual chambers are protected by a stainless steel barrier that allows the user to effectively vaporize their desired materials at different temperatures. Maybe you're someone who likes to vape dry materials at a low temperature in order to elongate the life of the product, but you also like to get big "dab" hits from your waxes and oils. 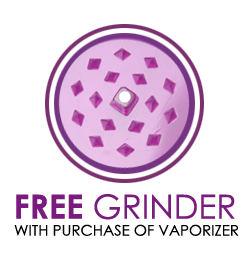 Do you want to vape oils at a high temperature for massive flavor and cloud production? With the Haze it's simple. You can have both going at the same time, and there's no spillover between the two entities. It's AM-HAZING! The Haze Vaporizer features two heating chambers -- one for loose leaf material, the other for waxy oils or concentrates. Not only do you get dual heating chambers, but the Haze also offers four different temperature settings as well as dual stability. You can have one chamber going at 345 degrees while the other is humming away at 405! 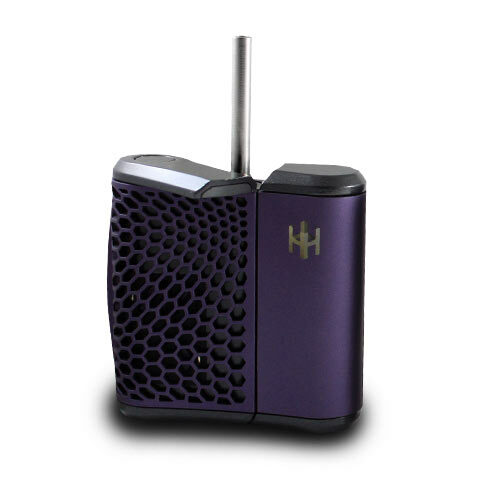 The Haze is truly unlike any other portable vape you've seen. 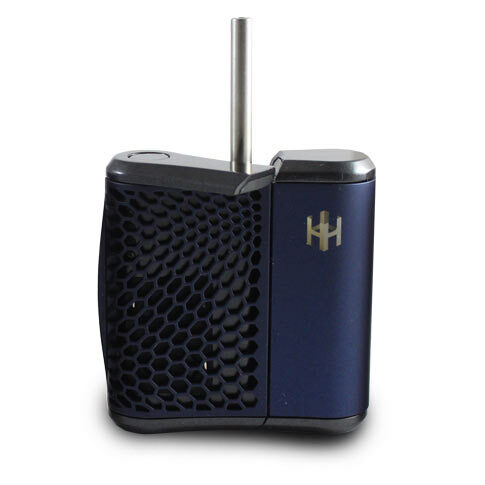 And they take care of their users too; the Haze comes standard with replacement screens, mouthpieces, batteries, charger, cleaning tools and an instructional video to fully complete the Haze vaporization experience. 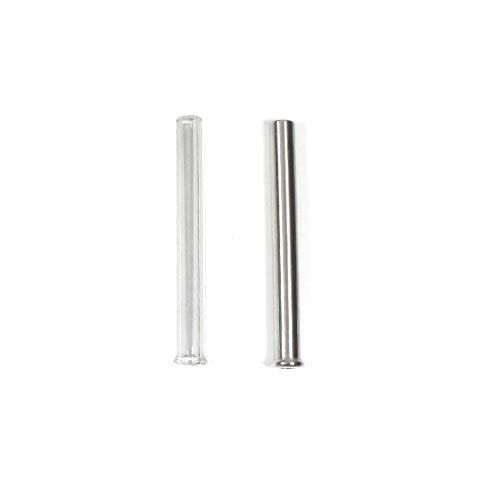 Haze gives you two solid screens for conduction vaporizing, as well as two mesh screens if you prefer convection vaporizing. The difference is in how the heat is applied. 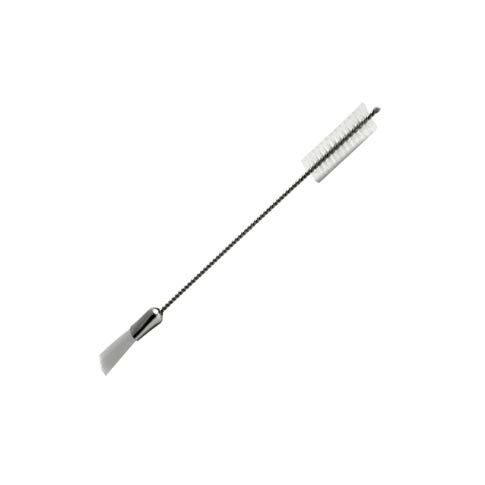 With conduction the heat is directly applied from the heating element to the chamber and then to the material touching it. By contrast, convection vaporizing separates the material from the heat source, allowing a current to form which moves air through and around the desired material. We can't tell you which way is better, we love them both and we're happy that the Haze allows you to find the vaping method that's right for you! 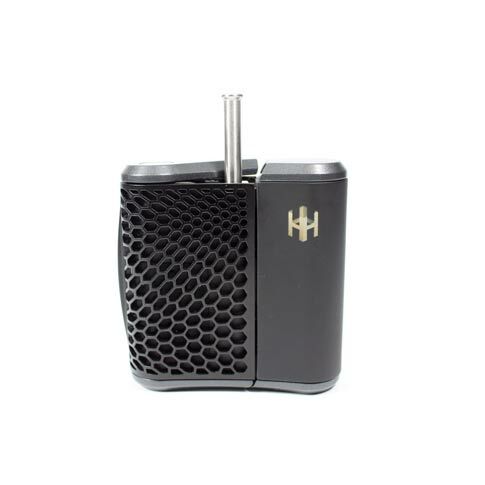 The Haze Vaporizer makes it easy to keep your vape in great shape from session to session. 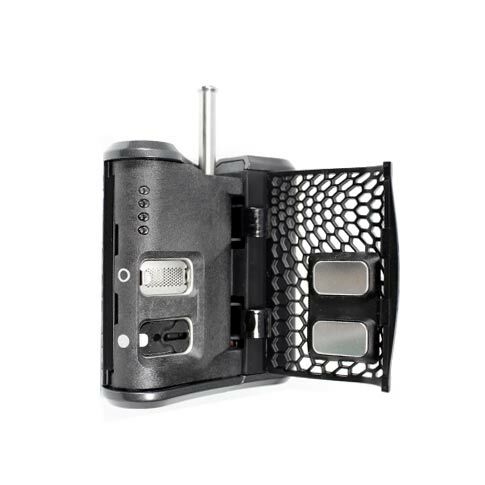 They include replacement batteries, replacement conduction screens, a wall charger, extra mouthpieces, a cleaning tool, and a unique double-sided vape tool which features tweezers on one side and a dab scooper on the other. 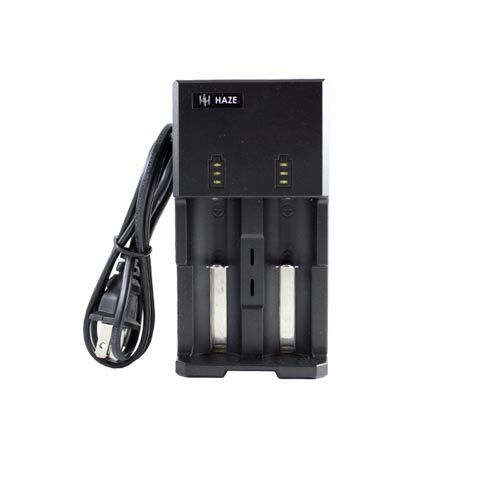 The guys at Haze really thought of everything, and if something tragic were to happen to the electronics, they thought about those too, backing the Haze Vaporizer with an impressive Ten Year's Manufacturer's Warranty. "Works really well - but looks kind of weird"
"I bought the haze after seeing it was included in the gift bag given to Oscar nominees this year. I figured - if it's good enough for Jennifer Lawrence, it's good enough for me! I do get a lot of vapor from it, but it's for sure a bit on the pricey side. Also not the best looking vaporizer, but it's unique looking, I'll say that. 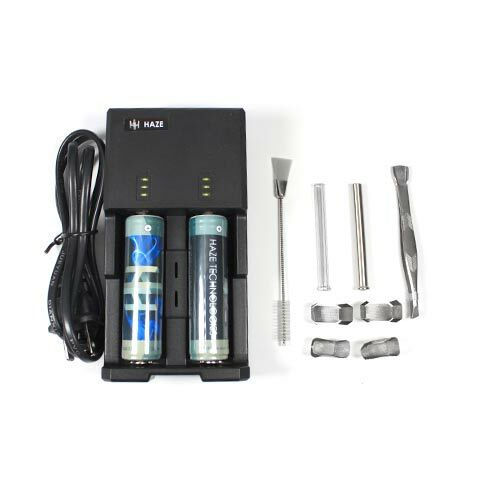 Overall I'd say I'm happy - I got a well built vaporizer that works great." "I really like the dual chamber feature. This is the original reason why I bought it. The herb vapes well and it does an even better job with the wax. I'm not sure about the price though and value that you get. That's why I'm giving it 4 stars and not 5. " "The Haze is the portable vape Ive been looking for. It does both herb and concentrates well. It gets a big plus for having a removable battery. Keep a few charged and they are easy to swap out as needed. Most importantly, it produces cool vapor. Most other portables have tended to scorch my throat a bit ( The Arizer Solo and the Pinnacle Pro for example ) but the Haze delivers a nice smooth vapor even at its highest temperature. The dual chamber system is very nice. The only knock I have on it is that it is a bit pricey but you get what you pay for. The only other portable I have tried that comes close to the Haze is the Crafty and that cost around $100 more than the Haze. 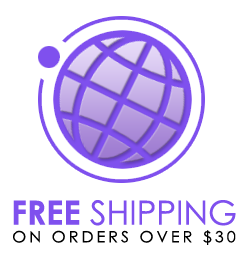 Last but not least, Haze has a great replacement program. 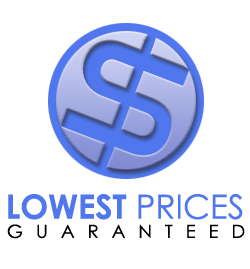 For a one time payment of $100, they will replace your Haze whenever a new model is introduced. The current model is the 2.5, so when the 3.0 comes out I can exchange my old Haze for a brand new model. The vape that I return to Haze is then donated to medical patients who can not afford their own vape. I can do this every time they introduce a new model, at no additional charge and you dont pay for the replacement until a new model comes out. Very cool of Haze to do this! " 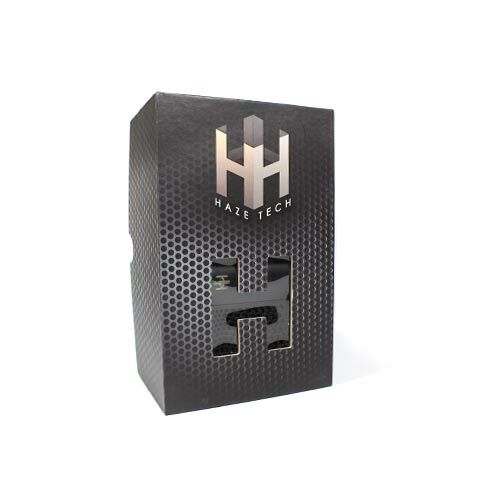 "If this vape was a rapper it would be called "2 Chambers" "
"Haze Technologies has created a vaporizer with features that make this unit standout in the vaporizer community. 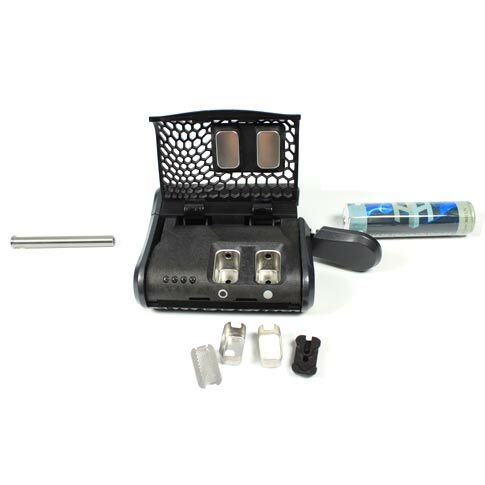 The dual heating chamber is a one of the most interesting features because it's compatible with dry herbs and concentrates, eliminating the need to have a two vaporizers for different compounds. The value in this is easily five stars based on the dual heating chambers, a ten year warranty, and removable batteries that come with a charger. Features like this increase the lifetime of your vaporizer and the ten year warranty really shows the dedication Haze has to its products. 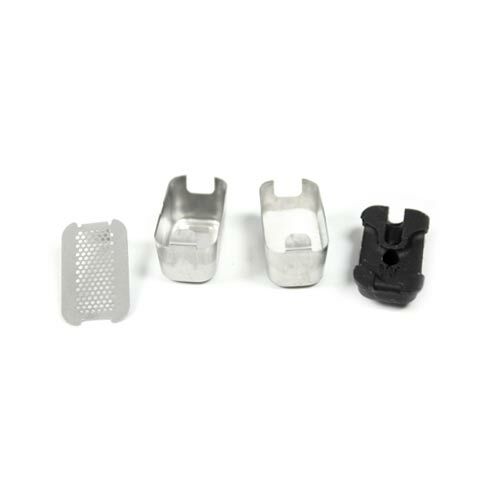 Glass and metal mouthpieces are included depending on your desire, the latch is easy to open, and instructional is included to really simplify the process for new users. My only beef with this product is aesthetically it's not the most beautiful, however looks aren't everything, right? " "I would say after using a cpl diff. Vapes the Haze is a top notch vaporizer. Love the removable battery and gives full thick draws with little effort. Easy to clean is a big plus. 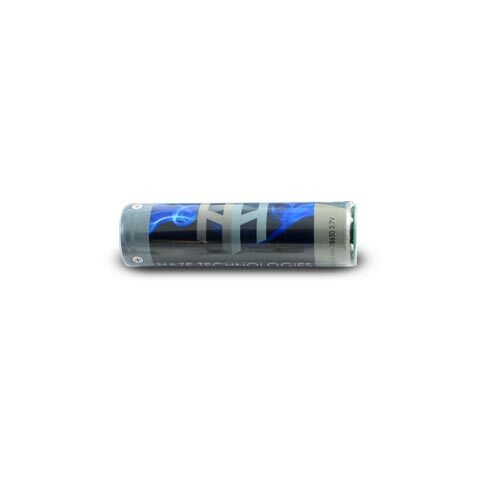 Downside is , it seems to me a bit pricey but best vape I've used so far."